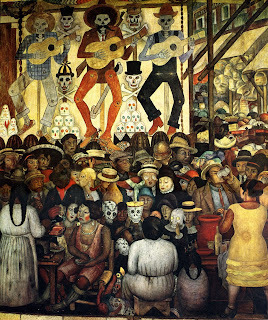 I don't think anyone can doubt Diego Rivera was a great caricaturist...most of the subjects of his murals were brillant examples of that! 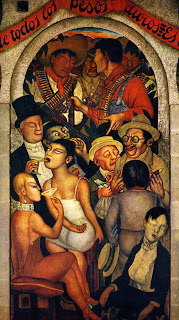 I believe he and Miguel Covarrubias were friends so I'm sure they influenced each other. 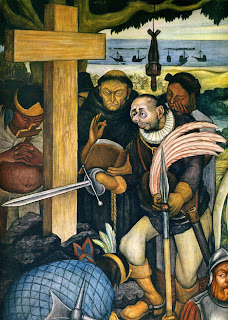 Being politically active towards the left he used caricature to make commentary and possibly annoy the "Millionaire Industrialists" that commissioned his work. But beyond the content, I love the way he used exaggeration of facial features including his own. 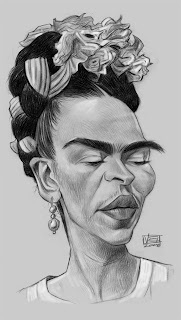 Oh, I added a sketch of Frida Kahlo as well since they could've been considered the "John & Yoko" of Mexican Art...and she was pretty damn good herself!!! 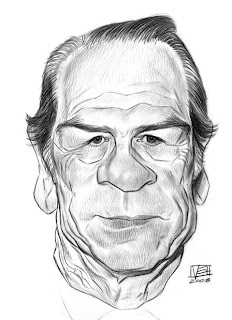 The brilliant Chris Wahl started a "Tommy Lee Jones" Jam on the Drawing Board and after seeing all the great contributions I thought I might throw one up there. 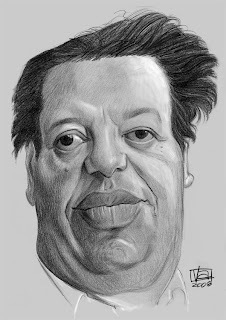 I may take this further and digitally paint it...he's got a great face for caricature, probally the only face craggier than my own!